If you or a loved one has been injured in a hit and run accident, you need a Chico hit and run attorney by your side. The team at Amaya & Associates can help you understand your rights and options when it comes to a hit and run accident. We’re invested in fighting hit and run criminals in California — and bringing them to court for their responsibilities. It is our goal to help our clients seek justice for their injuries or losses and receive fair compensation. • Your medical expenses – today and in the future for your injury. • Your cost of taking time off work. • Your repair costs for your vehicle or any property damage. • Your pain and suffering. Following a hit and run accident, the at-fault driver is accountable for your expenses as well as any pain and suffering they caused. This process, however, is highly complicated and requires the skill of a Chico personal injury attorney. Amaya & Associates is skilled in auto accident cases, especially hit and runs. 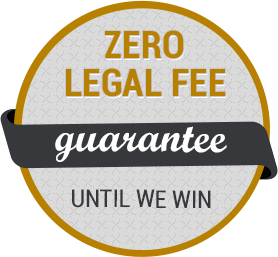 We have won hundreds of cases and rewarded our clients with millions in compensation. You can’t go at this type of case alone — you need the assistance of a skilled Chico hit and run accident attorney.